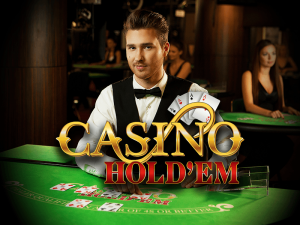 For those who are fans of the popular casino game, Texas hold’em, there is a very good chance that you will fall head over heels in love with Casino hold’em and here is why, they are both very similar in their play style. In both games, players are provided with two cards and in conjunction with the 3 community cards available, they will be expected to make the best possible 5-card poker hand possible. Now fans of Texas hold’em might as well say, oh yeah, I can just sit back and enjoy this one also but here is a small clog, with Casino hold’em, you don’t play against other players on the table rather your nemesis is the dealer. This could also be an advantage especially if you are used to playing live poker because poker players usually spend lots of time counting cards running mathematical queries of the top of their head before they are able to make a decision. Then again since the only guy against you here is the dealer, then your calculations are significantly reduced and your focus can be narrowed on the guy at the other end of the table. The game’s simple to learn. Here’s how you play. Once you study your cards, the first decision you will have to make depending on the strength of the cards you have is whether to raise or fold. If you fold, you lose your hand and ante bet and the dealer comes out victorious however if you raise, you will make an additional bet which has to be double the value of your initial bet. A good example is if you have an ante bet of $5 and you decide to raise, you will make an additional bet double that about which will leave you with $15 bet on the table. Once you raise, the dealer then deals a turn and river community card leaving a total of 5 community cards on the table. The dealer will then flip his hands to allow for a comparison of both hands. All the earlier needs to qualify is a pair of fours but if his card hands are not enough for him to qualify, he must pay the ante bet in line with the payout table and the bet you call will push. However, if the dealer’s hands are enough to qualify then both his cards and that of player are compared with whoever having the strongest hand based rankings of the traditional poker hand wins. Importantly, note that if the dealer’s card hand is stronger than the players he not only wins but the player loses both the ante and raise bets but if the reverse is the case, then the player wins. You will be bet even bets on your raise bet and also your ante bet in line with the standard of the payout table. 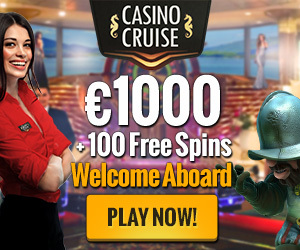 Also you should know that the payout is not standard but vary from casino to casino so to prepare your mind, we have come up with some of the more common payouts around. All the values are on a “to 1” basis. If the player and the dealer have the same hand, then it is a draw. The bet is a push and both the dealer and player receive their ante and raise bet. 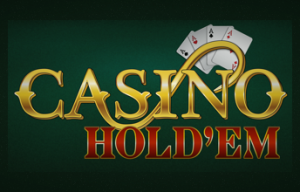 Many experts have stated that there are no quantifiable strategies for Casino hold’em and to corroborate this claim, any of the optimal strategy will involve the player raising about 82% of the time and will only have to fold 18% of the time. Apparently, it is believed that the player will get the worst of hands 18% of the time. Our suggestion is that when you play, you do so by playing the slider to find the top 80% of the hands. You should ignore them all together. Memorize the last 20% of the hands instead. These are the hands that can give you an edge with the game except for the occasional 4 cards to a flush or open ended straight draw.